I am playing along with Papertrey Ink's "Create along with us" challenge. I have chosen the amazing Maile Belles to CASE and specifically this card. I moved the focal point to the top and used the Happy Birthday die with balloons stamped on the background. I am also adding this over at Seize the Birthday: Anything goes. What a gorgeous birthday card-so bright and cheery and great die cut and design on your Fathers Day card! What a fun card Kristie! I love the die over the balloons. Super fabulous! So cool! I love how you stamped the sentiment directly on the balloons! Really cool HB die that would work equally on guy or gal cards. Happy happy bd card! Love your style, Kristie! Bright and fun! This is fantastic with the balloons! So festive! Great card! Haven't opened my new birthday die yet but wondered how it would look with balloons. You've answered that question for me with your colorful card. Great take from Maile's card, Kristie! 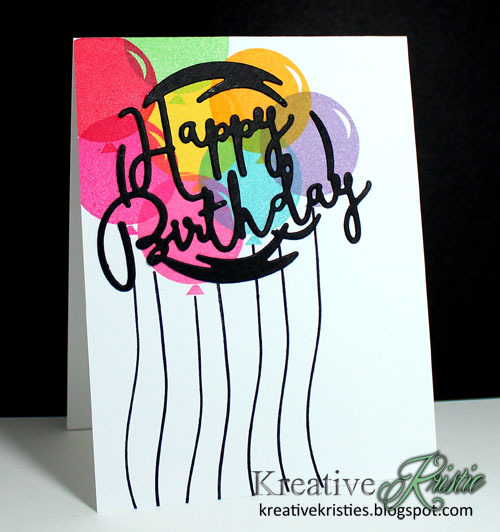 A fun and colourful card Kristie! Love it. 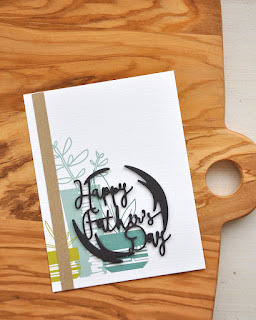 What a great card using the happy birthday die! I love the bright colors. Superb!! You always have the best designs and ideas Kristie! Great Birthday card! Thanks for joining us over at Seize the Birthday! loving the fantastic bright colors! Kristie, such a great card. So bright and fun.